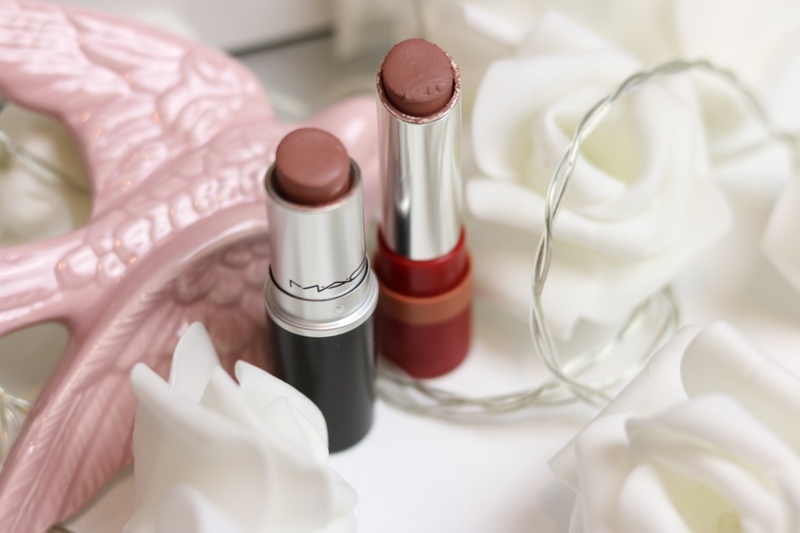 A couple of years ago, Velvet Teddy was THE lipstick to have. Everyone was completely obsessed with it. Rightly so, it is is a really beautiful lipstick. 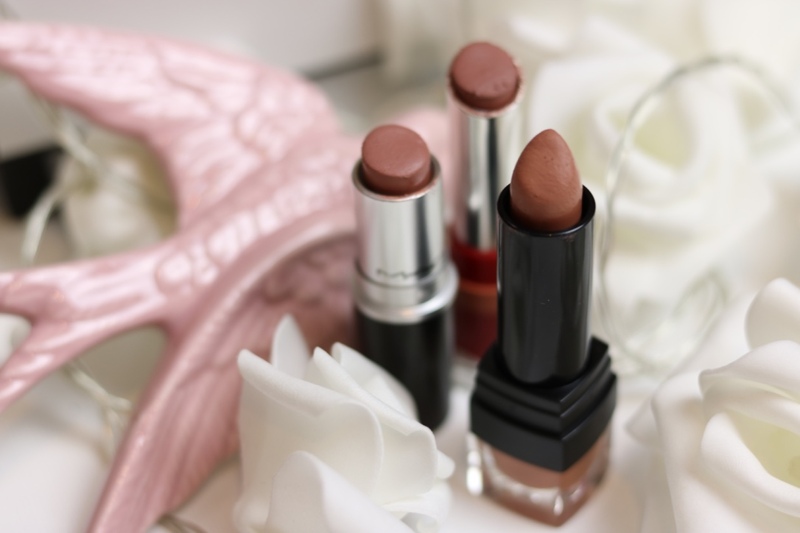 I am a big fan of MAC lipsticks, especially the matte formula range. But as MAC lipsticks retail at £16.50, it is not exactly within everyone's budget. 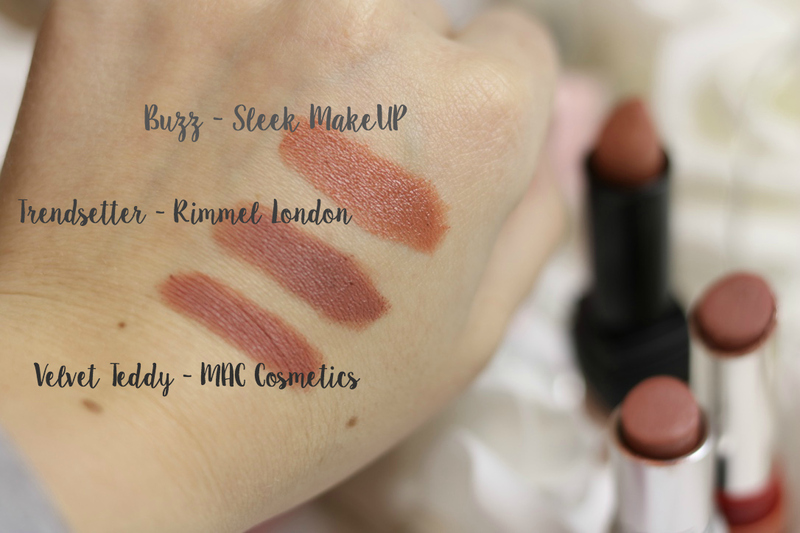 So today, I thought I would share with you my Velvet Teddy dupes! The closest lipstick I have come across is Trendsetter from The Only 1 Matte lipstick range from Rimmel. I have actually written about this range here. The formula is very similar to the MAC formula, especially the way that it looks on the lip. It is very matte but comfortable on the lip. I honestly could not rave on about these lipsticks anymore than I already do. Go on my Instagram and you will see me wearing one of the lipsticks in pretty much every selfie! 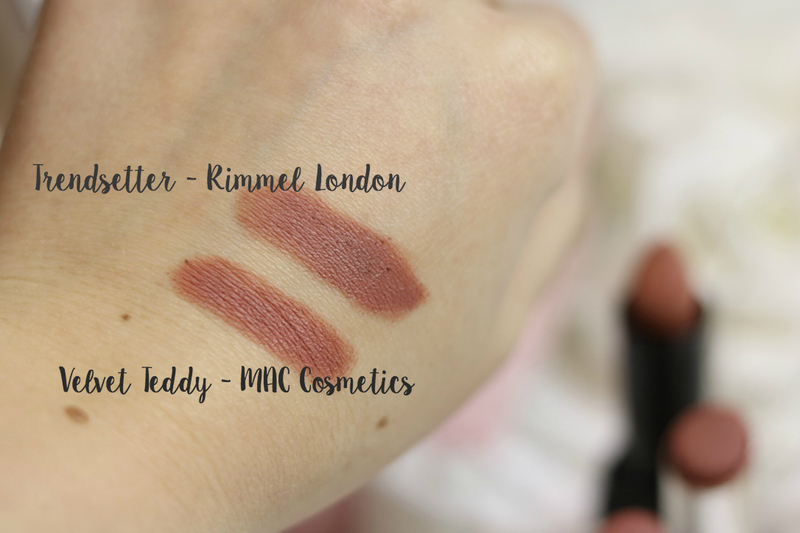 There really is very little between the two colours, Velvet Teddy might be the tiniest bit darker and slightly more orange? Let's be honest - there really is not much between the two! As for longevity on the lip, I do think that the MAC formula does wear a little bit better, again not enough that it makes any difference at all really. Especially as it is more than half of the price at £7.99! As a bit of a bonus cruelty-free lipstick, I have added the Sleek VIP Semi-Matte Lipstick in Buzz. It isn't a !00% dupedupe, but it is really beautiful. As a semi-matte lipstick, it does have a bit of a sheen to it and doesn't last as long on the lip. But the colour isn't hugely far off, it is a bit lighter than the other two but you can definitely pair it with a darker liner to get the desired effect! This lipstick retails at £5.49. I hope you guys enjoyed this post! I really love coming across dupes and sharing them with you. Thank you for reading.